In 2008 I wrote a song called “The Man I Didn’t Kill.” The story of the song is pretty simple in a way. I get song ideas all the time just from observations of life. I never mind a drive to the hospital or the million other tasks I have to do in my work as a minister. It is an ocean of songwriting material, because it’s simply life experience. I really admire the great songwriters who live in Nashville, sit in an office all day and crank out lyrics. I’m not sure I’m that imaginative. My ideas come from life. I walk through, listening to people in trouble, solving problems, managing a congregation, dealing with budgets, praying for the sick. All along, though, the artist in my brain tries to pay attention. I’m not looking for songs, but I’m paying attention for things that interest me. Kate Campbell talked a lot about being curious—noting things you care about and trying to understand why. So songs, or at least ideas, pop up everywhere. 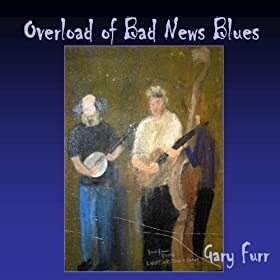 Back about 2008 or 2009, I wrote a song that ended up on my cd “Overload of Bad News Blues.” It’s called, “The Man I Didn’t Kill.” It came from a close call. One day a pedestrian walked out in front of me without looking. I was watching him, so I hit the breaks and, for the first time, he saw me. Small bit of life. The bet was never won. It goes to show that ideas and experiences can have a lot of room for exploration and development. One way to let ideas grow in our writing and work is to “let them” go to unexpected places. What would be the opposite of our expectations? The reverse of the “usual course”? Your ideas can be like children—you have to let them out and play now and then!. So, too, with life. Expectations, roles, surrounding cultures can weigh us down into ruts in living. I heard a preacher say once that a rut is a grave that’s open on both ends. You don’t get out of it until you stop thinking it’s the only way. Leaving the ruts, though, is risky. It can be stressful. But it can open up life, songs, and our minds, if we’ll pay attention. Posted on October 19, 2014, in Uncategorized and tagged acoustic music, art, Blessing, Choices, Gary Allison Furr, Gary Furr, ideas, Lucinda Williams, Music, songwriting, writing. Bookmark the permalink. Comments Off on “The Man I Didn’t Kill” and Paying Attention.